Should we be alarmed that the number of job cuts announced by large U.S. companies was 35 percent higher in April than it was in March? This is definitely a case where the trend is not our friend. According to Challenger, Gray & Christmas, U.S. firms announced 65,141 job cuts during April, which represented a massive 35 percent increase over the previous month. And so far this year overall, job cut announcements are running 24 percent higher than for the exact same period in 2015. Meanwhile, on Thursday we learned that initial claims for unemployment benefits shot up dramatically last week. In fact, the jump of 17,000 was the largest increase that we have seen in over a year. Of course the U.S. economy has been slowing down for quite a while now, and many have been wondering when we would begin to see that slowdown reflected in the employment numbers. Well, that day has now arrived. While one can debate the veracity of the BLS’ seasonally adjusted data, one thing is certain: when a company announces it will layoff thousands, it will. So for all those who suggest that all is well with the US jobs picture based on initial claims reports, here is the latest report from Challenger according to which the pace of downsizing increased in April jumped by 35% to 65,141 during the month of April, from the 48,207 layoff announcements in March. Looking further back, in the first four months of 2016, employers have announced a total of 250,061 planned job cuts, up 24% from the 201,796 job cuts tracked during the same period a year ago.This represents the highest January-April total since 2009, when the opening four months of the year saw 695,100 job cuts in the aftermath of the biggest financial crisis in modern history. 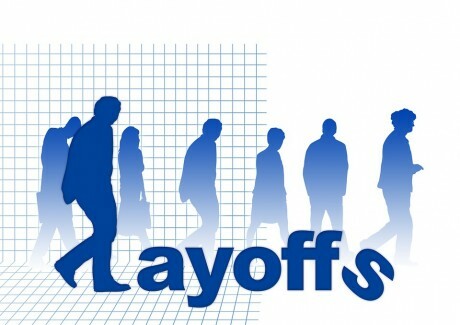 Why are firms laying off so many people all of a sudden? Computer firms announced 16,923 job cuts during the month; the highest total among all industries. That total includes 12,000 from chipmaker Intel, which is shifting away from the traditional desktop and laptop market and toward the mobile market. To date, computer firms have announced 33,925 job cuts,up 262 percent from a year ago, when job cuts in the sector totaled just 9,368 through the first four months of the year. Yes, the U.S. energy industry has lost well over 100,000 good paying jobs since the beginning of last year, but the downturn is so much broader than that. All over America corporate earnings are down, and when earnings fall it is inevitable that layoffs will follow. 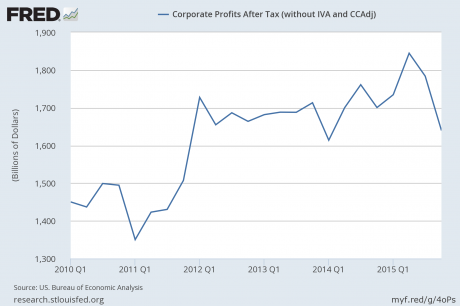 As I have written about previously, earnings for companies listed on the S&P 500 have fallen a total of 18.5 percent from their peak in late 2014, and it was being projected that corporate earnings overall would be down 8.5 percent for the first quarter of 2016 compared to the same period a year ago. As this new economic downturn intensifies, the layoffs will accelerate. In plain English, that means that a whole lot more people will be losing their jobs. Unfortunately, a very large percentage of Americans didn’t learn anything from the last crisis and are living on the financial edge. In fact, the Federal Reserve says that 47 percent of all Americans cannot even pay an unexpected $400 emergency room bill without borrowing the money or selling something. So just like back in 2008, we are going to see huge numbers of people unable to pay their bills when they lose their jobs. Foreclosures are going to skyrocket, and lots and lots of families are going to be put out into the street. This is why I have been preaching the importance of having an emergency fund for years. It is absolutely imperative to have an emergency fund that can cover your bills for at least six months in the event that there is a job loss or some other sort of major disaster strikes. If you have not done this already, you are probably already too late. The cold, hard reality of the matter is that it would take most families quite a while to save up a six month emergency fund if they are starting from zero. So if you are in this position and you lose your job, you may have to move in with family or friends when your money runs out. I don’t mean to be cold, but this is the situation that we are facing. The next employment crisis is already here, and it is going to get much, much worse. No matter who becomes “the next president”, job cuts are going to accelerate and good jobs are going to become exceedingly difficult to find. I am certainly not advocating that anyone give up. If you still have a good job for the moment, tighten your belt and use this time to feverishly prepare the very best that you can. Sadly, tens of millions of Americans believed that this bubble of false prosperity would keep on rolling, and so they wasted immense amounts of precious time and resources. Now the day of reckoning is here, and vast numbers of our fellow citizens are going to discover the horror of being unprepared.